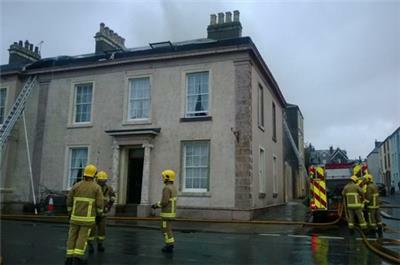 Firefighters have been tackling a blaze in a house converted into three flats at Camp Road in Maryport. The fire started in the attic. Unemployment figures out today show a slight increase in Jobseekers claimants in Cumbria since November - of six - but the picture is mixed around the county, with falls in the east (Carlisle, Eden and South Lakeland) set against rises in the west (Allerdale, Copeland and Barrow). A 17-year-old girl was injured after being attacked by a man and a woman in Melbourne Road, off Greystone Road, Carlisle, on the afternoon of Sunday, January 12. Police have appealed for witnesses to get in touch on 101. Police have named the man killed in the crash on the main A595 road near Carlisle yesterday. He was Daniel Ian Staples, aged 28, of Peel Street, Carlisle. There's a story here. The reason I ask is because the British Geological Survey registered an earthquake near to both town's at about 10.15am yesterday. It was only small - 2.1 on the Richter Scale - but it was still an earthquake. We've got a story here. I'd like to start today with a question, if I may. If you were in the Wigton-Silloth area yesterday morning, did the earth move for you? Because it did, sort of. Good morning. Welcome to Wednesday, January 22.